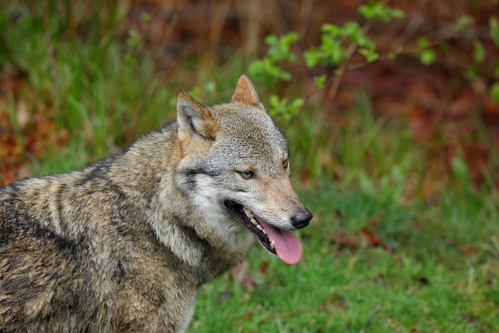 It looks as if two female wolves are settling in the Veluwe area, an analysis by Wageningen University shows. Some 10 wolves have been spotted in the Netherlands this year but most have either returned to Germany, where they originally came from, or moved on to Belgium. One of the females has been in the area since July, the other since August. If the first female is still around in January she will be considered to have settled there. ‘GW998F’, as the wolf has been dubbed, was also part of a pack in Germany and was sighted for the first time in May in Friesland and Drenthe where she fed on sheep, broadcaster NOS writes. Farmers in the vicinity have nothing to worry about, according to wolf monitoring organisation Wolven in Nederland. ‘A roaming wolf will pick off a sheep for a quick snack but a settled wolf stays out of sight. It will go for boar and deer and won’t show himself near houses. It is very unlikely to cross paths with humans,’ spokesperson Maurice Lahaye told the broadcaster. If the wolves settle in the area, farmers themselves may have to take preventative measures, which means compensation will depend on them having done so. Gelderland provincial authorities have said they will compensate farmers for the next three years and provide financial support for preventative measures. The provinces will also be responsible for monitoring the wolves. Now this is done by Wageningen university and nature organsations. Roaming wolves killed some 134 sheep in 2018.